Sinefa Instances are probes or agents that are installed in your network, including data centers, offices and public/private cloud infrastructure. 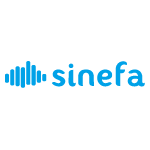 Rapidly deploy Sinefa Instances into AWS regions. Instances are free to deploy.